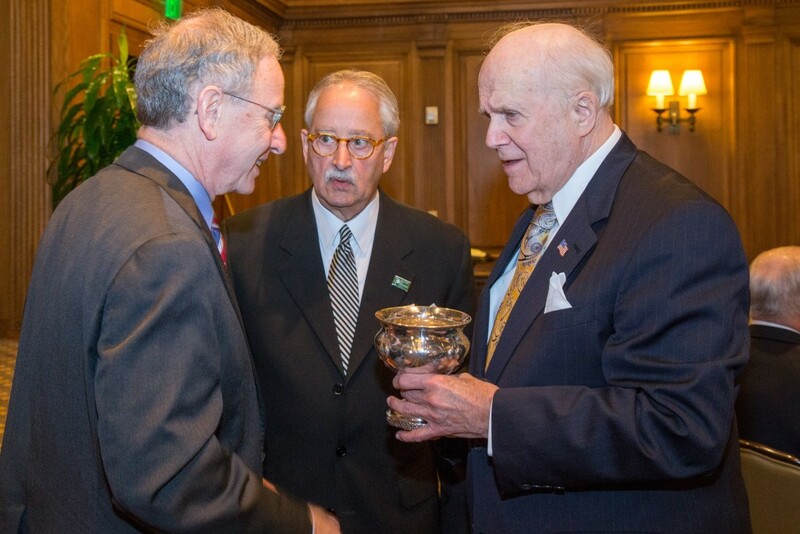 Left to right: Michigan Supreme Court Chief Justice Stephen J. Markman, State Bar of Michigan President Lawrence P. Nolan, and Michigan Supreme Court Historical Society President Charles R. Rutherford with the Douglass cup. Left to right: US District Judge Avern Cohn, Michigan Supreme Court Historical Society President Charles R. Rutherford, and State Bar of Michigan President Lawrence P. Nolan. 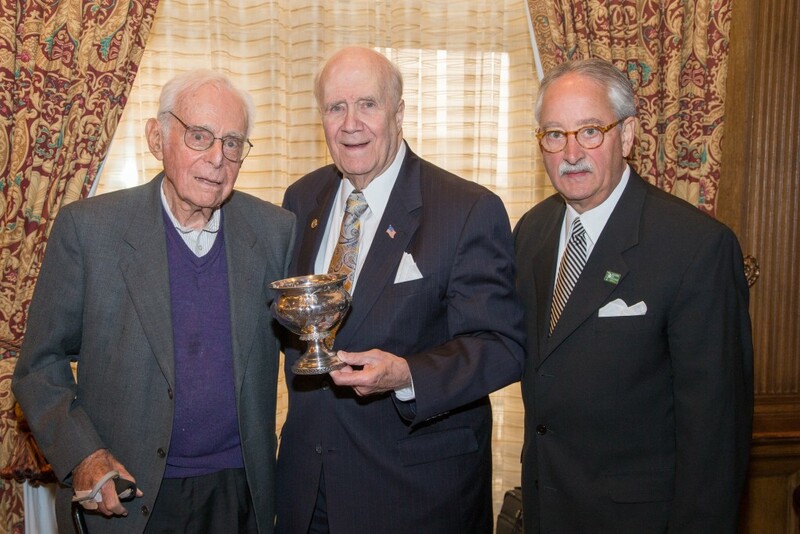 The Society gratefully acknowledges Judge Cohn for his contribution in acquiring the Douglass cup.